Hey guys what's up! Welcome to one of my blogs. I'm taking this opportunity while my other websites are being revamped and temporary down to give everyone an update on everything I've been up to in the past 5 months. 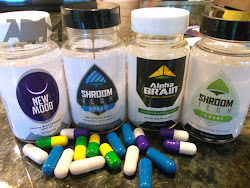 www.JohnnyFD.com - My personal blog mainly about overcoming the struggles of starting an online business and how I went from having less than $200 in my bank account to making over $20,000 in revenue a month in 2 months after learning how to build an online business. 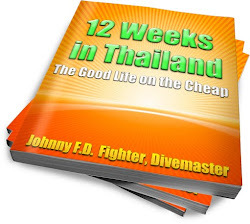 www.12WeeksinThailand.com - My Book about Traveling and living in Thailand for $600 a month while making money teaching scuba diving, living at a Muay Thai gym and traveling on the cheap. Travel Like a Boss Podcast - Weekly interviews with online business owners I've met while traveling. Ideas and inspiration on how to start your own business and travel like a boss, making a western wage while living abroad. Anton's system - The course I used to learn how to start an online store / ecommerce business using dropshipping. Shopify Free Trial - The website / software I use to make my online store, upload products to sell and to manage the backend of the shop including accounting, fulfillment and customer service. Check back in an hour to see the video and update! Sorry guys! Have to run! Very interesting read. Looks like you've come a long way since this article was originally written. Hey thanks Rhys, life changes quick buddy!